Are you shopping for dog costumes for your German Shepherd Dog? If you are then please check out what we have to offer below. During holiday seasons these are especially popular so we have tried to collect some of the best ones that are size appropriate for our larger dogs. Don't leave your pet out of the holiday festivities. 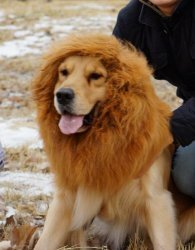 There are so many different kinds of pet costumes available that it is really easy to dress up your pet too. 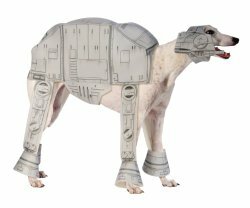 And it doesn't matter if you have a big dog or a little dog or some size in between, there is afancy dress costume that will work for your dog. 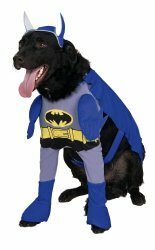 Do you want to transform your German Shepherd into Batman, a Watch Dog, a police dog or a K9 Fireman? Well now you can. And if you've been looking at pictures of other big dogs all dressed up for Halloween or any other holiday occasion, maybe now the pictures below will inspire you to dress up your own German Shepherd in a dog outfit right away! Halloween is just right around the corner so don't forget to include your pooch in all the festivities too! They might enjoy a Halloween outfit too! 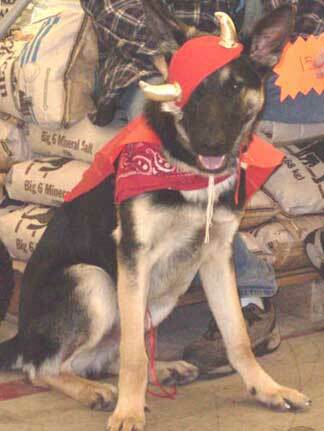 We have all those pet costumes and a few others too - feel free to browse through our offerings of dog costumes. We hope to add more big dog costumes over time too so please come back to check again later if we don't have what you're looking for now. So, feel free to click on any of the pictures below to order one for your own German Shepherd or other dog right now! These halloween pet fancy dress costumes are available in all different sizes and styles and are usually under $20 US. See one you like? Just click on it to learn even more about it, or to order.